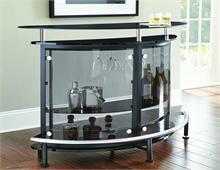 The Steve Silver Ariana bar is ultra contemporary with it's crescent shape and smokey tempered glass and stemware rack. 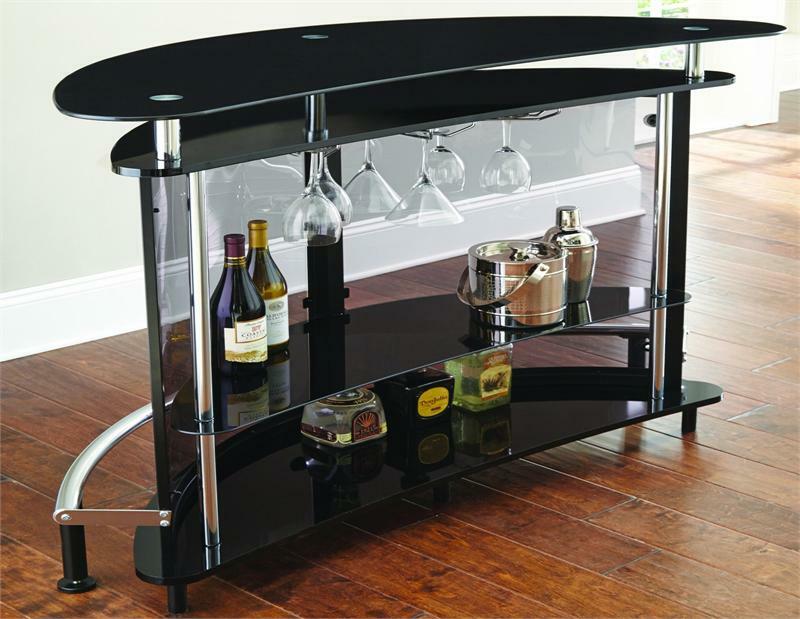 It is flanked by a chrome footrest. 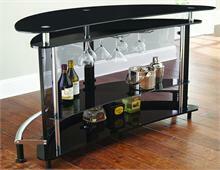 The open back makes it easy to retrieve all your bar needs. 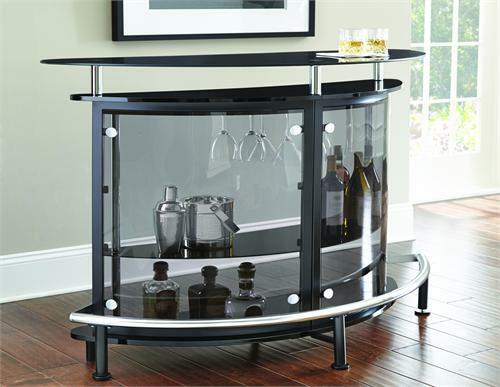 The Ariana bar is the ultimate modern media bar. 51" x 20" x 41"